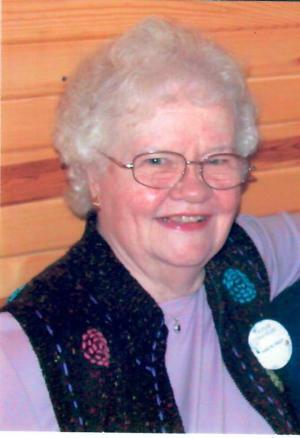 Mrs. Jane Marilyn McKinley, age 85, of Salem, passed away Friday, April 5 at Emma’s Place in Pekin. Mrs. McKinley was born December 26, 1933 in Washington County, the daughter of Wilbur and Lois Calloway Williams. She was a member of Southern Hills Church. She was also a member of the Farmer’s Club, the Washington County Hospital Auxiliary, and was a 4-H leader for many years. She was retired from Mid-Southern Savings and Loan. Jane was preceded in death by her husband: Dale McKinley on October 2, 2007, along with her parents. She is survived by two sons: Denny McKinley (Beth), and Scott McKinley both of Salem, a daughter: Yvonne Sullivan (Jr) of Pekin, 5 grandchildren, 6 great-grandchildren and 2 step-great-grandchildren. Funeral services will be held Tuesday, April 9 at 11:00AM at Weathers Funeral Home. Burial will follow in Crown Hill Cemetery. Visitation will be Monday from 4-8PM and Tuesday from 9AM- until time of service.